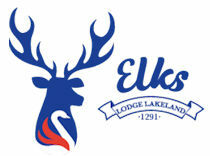 Support the Elks supporting October Breast Cancer Awareness Month. Pink ribbons, only $5.00 on sale now at our Lakeland Elks Lodge. See Sher or your bartender.